Hyderabad, June 1: Iran evinces interest to invest in AP's mining, agri & allied sectors. Ali Akbar Nategh-Nouri, advisor to Iran's supreme leader, called on Chief Minister N. Chandrababu Naidu today here at Secretariat. Stating that this is his second visit to India and Hyderabad after 1996, Mr Akbar informed the Chief Minister that India underwent a sea change in these 19 years. 'Hyderabad too has transformed from what it was in 1996,' he added. Reflecting on the potential areas of collaboration between Iran and India, Mr. Akbar said that they are keen on working with the Government of Andhra Pradesh in mining, marine, agriculture, horticulture, petro-chemicals and IT. 'Bauxite has good demand in Iran,' he added. Explaining that Andhra Pradesh has a good mineral resource base, the Chief Minister added that AP stands at the top position in India in Beach sands, Barytes and Granite, second in Limestone and Bauxite apart from having large gas reserves in the Godavari region. The Chief Minister also briefed on Gangavaram land-based LNG terminal and Kakinada FSRU LNG terminal to Mr. Akbar, who also enquired about India's FDI policy in mining and related sectors. He added that AP's Visakhapatnam-Kakinada Petroleum, Chemicals and Petrochemicals Investment Region (PCPIR) would be the longest in the country. 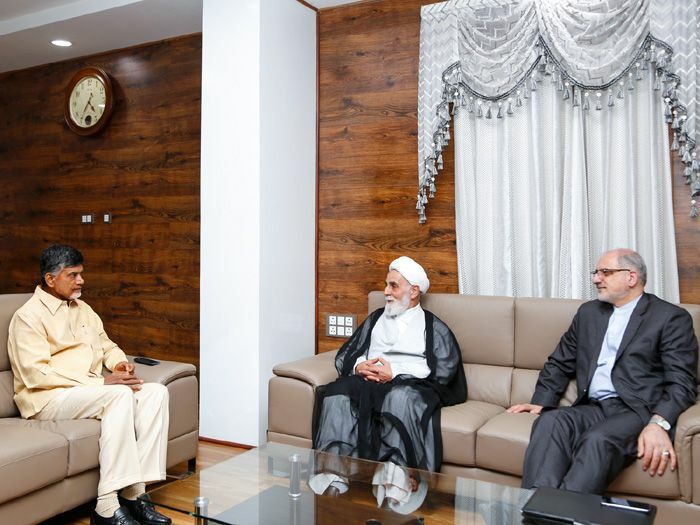 The Chief Minister extended an invitation on behalf of Andhra Pradesh to Mr. Akbar to send a delegation from Iran to visit the state and explore potential investment opportunities. Minister of State for Science & Technology and Earth Sciences Y.S. Chowdary, Principal Secretary to CM Satish Chandra and OSD to CM Venkaiah Chowdary were present in the meeting.